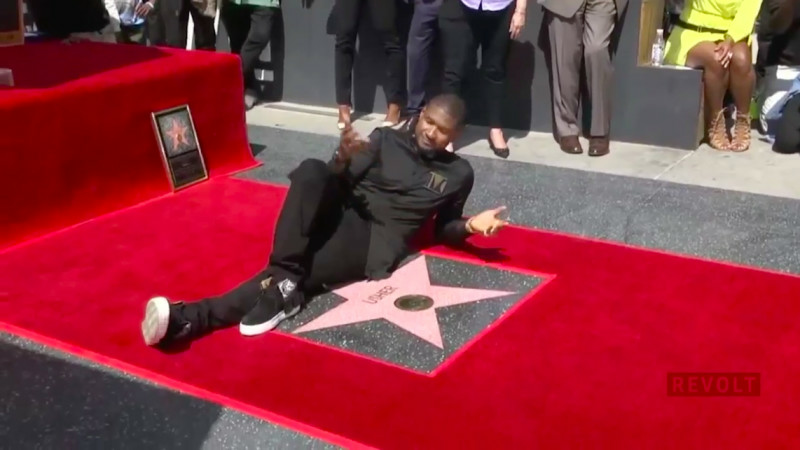 Usher has officially been in the music industry for over two decades, a feat that simultaneously is as impressive as it is a humbling reminder for his loyal fanbase that, well, we're all getting older. Twenty years ago on this date in 1997 (Sept. 16), the fast-rising R&B singer released his sophomore album, My Way, at the age of 19. Back in 1997, the album debuted at No. 15 on the Billboard 200, as well as peaked at number four on the U.S. Top R&B/Hip-Hop albums charts. The project, which featured production by Babyface and Jermaine Dupri, has since been certified six times platinum by the RIAA and is often credited as being his breakthrough album. "WOW!!! Can't believe it's been 20 years," Usher exclaimed in an Instagram post reminiscing on the project's milestone. "THANK YOU to my fans and everyone behind the scenes for being down with me!" He then asked fans to share their favorite memories of the album by using the hashtag #MyWay20, inspiring all sorts of nostalgia (and general disbelief the project is already twenty years old) to flood the comments section on his throwback post. Take a look at Usher waxing nostalgic on his second album ever, below, and be sure to run that one back in honor of its 20-year anniversary today. WOW!!! Can't believe it's been 20 years!!! THANK YOU to my fans and everyone behind the scenes for being down with me! What's your favorite memory from 'My Way'? Share your favorite song, video, outfit, etc. with #MyWay20.